Dogs are known as man’s best friend for a reason. They are extremely loyal to us human beings and once you love them, they stay with you forever. Many households will have a dog or even more of them. They are a part of the family and the owners almost always treat them as their children. So, it is obvious that they will want the pampering that a child will get. This includes a lot of cuddles and care including new toys from time to time. Apart from that, the dog parents can actually buy handy gadgets that will let them care for their dog or puppy in a much better way. Here we will mention five of those gadgets which can be a handy tool for any dog owner. 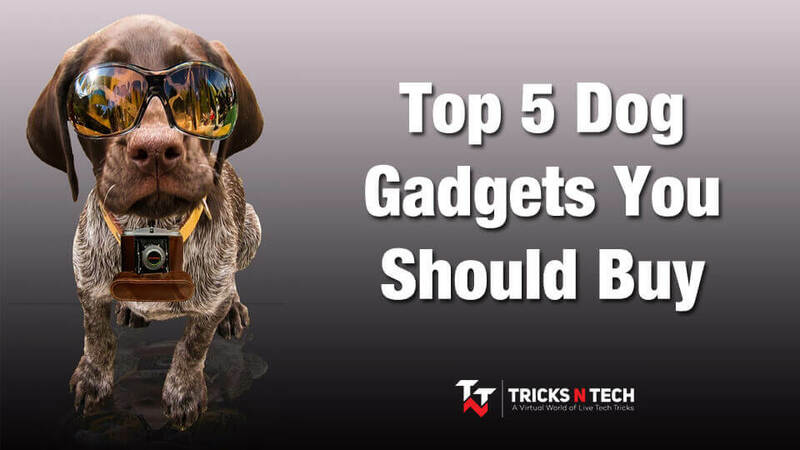 So, check out the best 5 dog gadgets with brief information below. All the pet parents have wondered about the secret lives of their pets when they are out of the house. Most dog parents will need to go live their daily lives in offices, schools or other places. This is the time when the dog is alone in the house. It is always great to have something to check on them and a dog camera is specifically meant for that. It is like a CC camera which checks the activities of the dog. When you are buying one, do look at the specifications present in it. It is always better to get a dog camera that has night vision and different viewing angles. Some even have barking sensors which let you know if your dog is barking. You can easily check the footages of them via the app that you will download on your phone. The camera becomes a wonderful gadget if you have more than one dog as you can keep a close eye on them. Do you have a dog that likes to roam around in the lawn but you do not want it to wander off? If yes, then you aren’t the only one who has had the problem of it. A wireless dog fence system is nothing but a containment system which helps you to keep in the garden and prevent them from going anywhere else. This is important as you do not want your dogs to get on the road which is very dangerous. The great thing about wireless fences is that they do not have a physical fence to them. Rather than that the dog actually wears a collar which detects when the dog is going out of boundary. The collar starts to beep which will deter the dog from getting any further. If the dog doesn’t stop, then a mild static electric shock is given to them to make them return to the boundary area. Once you buy a system you can purchase multiple collars to use it on several dogs. Do make sure to check the boundary area of the wireless dog fence when you buy the product. Are you tired of playing fetch with your dog but they are never tired of it? If yes, then you may want to get a ball launcher which can become a savior for you. Dogs need to have an interactive play on a daily basis as it works to maintain their cognition as well as their muscles. So, apart from being a toy, this ball thrower will also act as a tool for exercising. These ball throwers generally throw small tennis balls and you can even set the launch distance that you want to set. 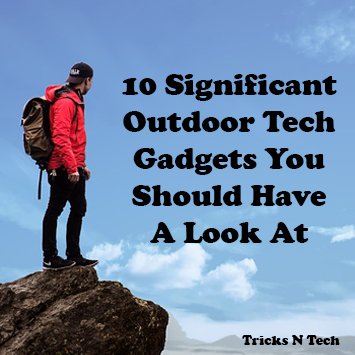 These gadgets can be used both indoors and outdoors. When you are out on the lawn sunbathing, your dog will also have something nice to do. These days you get several options in the market, so definitely check out the specification of the device before you place an order for it. Your pet can actually play on its own using this machine as they can load the ball and it throws the ball so that the dog can catch it. You as the owner should always motivate them to make it a daily habit. Food is always an important part of having a dog as it gives them the right nourishment that stays healthy. A smart feeder is a gadget that helps you to maintain the feeding time of your dog so that they do not miss a meal. Along with that it also lets you fix the portions quite easily. Some smart feeders also let you record your voice so that your dog feels your presence when they are eating. They generally require batteries to run. So, you wouldn’t need to spend a lot when you are operating on one of these feeders. Some even have Wi-Fi connection in them, this will let the owner fit their pets from anywhere and everywhere just with the smartphone app. If you go to the office, then this smart feeder will be your friend. If you have a dog that likes to roam around the place, then you must always look out for them. A Dog GPS tracker will actually give you the option to have a check on them as you attach the tracker to the collar. You get the live updates about the location of your dog from time to time through an app. 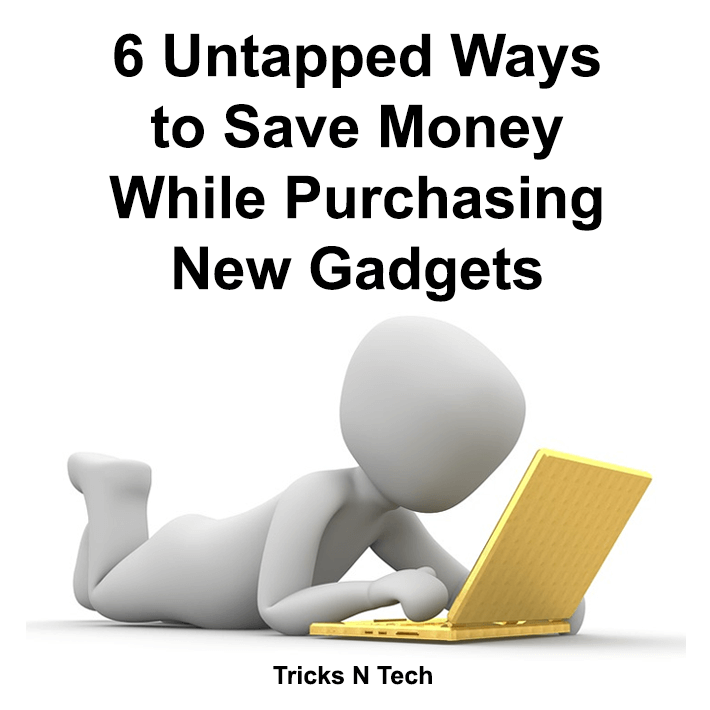 In many trackers, you will need to pay a monthly fee so that the device can help to track. They may also have a fence system which notifies you if the dog gets out of the boundary that you have set. Do check that the GPS tracker is supported by your phone so that you can actually make use of the device. Activity tracking features also notify about any activity that the dog must be doing. So, here are the 5 gadgets that every dog parent should buy for their dog child. These will help them to make their life a lot easier and it will be a boon for them. We hope that you will like to have them along with you. If you are using other dog gadgets then let us know in the comment section below. Hasta la vista!